Ice cube size that is. 😉 In case it isn’t obvious at this point, we’re somewhat obsessed with Dave Arnold’s new book Liquid Intelligence. And why not, there’s some serious science and booze nerdery which is right up our alley :). This week, we’re investigating one of his claims that shaking your drinks with one big ice cube and a few small ones makes a difference in the texture of the drink. Read on to find out what we discovered. We decided to use the Clipper Ship from Robert Hess because we hadn’t had one in a while and we really like them. 😉 We do modify the recipe slightly in that we add a bit more lime juice than he calls for (3/4 oz as opposed to 1/2 oz, because we find the original a little sweet for our palates). We prepared two drinks and shook one with 3 small Tovolo Perfect ice cubes and the other with 1 Tovolo King cube and 2 Perfect cubes. Nose: Cucumber, lime, elderflower, juniper, anise. Palate: Lime tartness and anise right on the front. Elderflower, juniper and coriander on the mid-palate. Cucumber and lime peel on the finish, with a little bit of spicy, herbaceous bitterness from the absinthe. 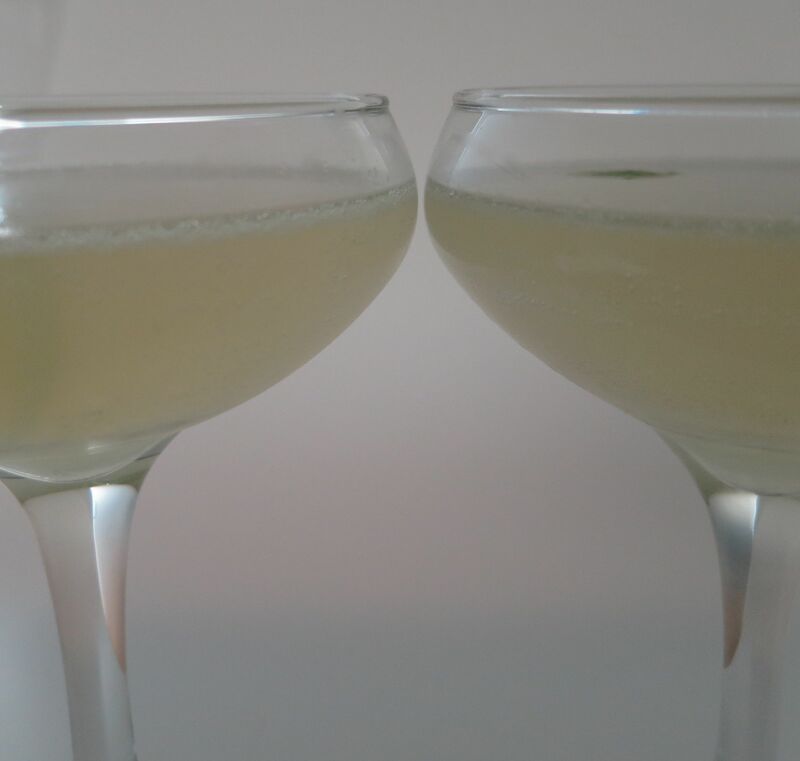 In comparison with the other cocktail, a little sweeter and a little bit fuller mouthfeel. Palate: Slightly tarter, and the absinthe is a little more forward. Subtle but noticeable if you’re looking for it. As you can see, our palates really don’t detect a huge difference between the two. That said, it’s entirely possible that was a slight difference in how much we poured, though it seems like fractions of an ounce shouldn’t make that big of a difference. In looking back at that section of the book, it’s unclear if the texture comment was in relation to all drinks, or possibly just to sours. We shall have to investigate! In this particular case, it seems as if Mr. Arnold just has a more refined palate than we do. 😉 Either way, we hope you’re having a good Grand Sportsball weekend and are enjoying at least a cocktail or three. 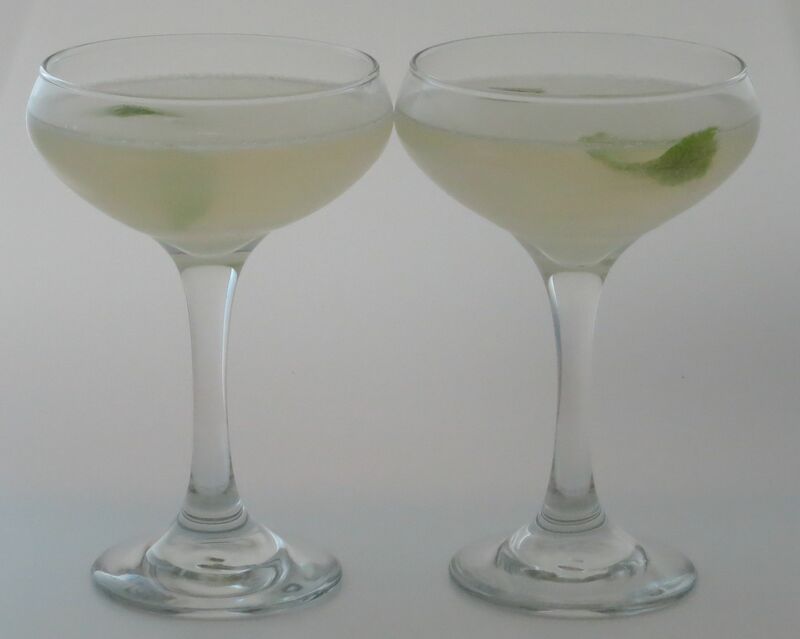 This entry was posted in absinthe, Gin, st. germain. Bookmark the permalink. 4 Responses to Does Size Make a Difference? I tried something similar, but I was making sours with egg white. I used either a Tovolo 2″ cube plus 3 small cubes from our freezer (approx 3/4″) or a scoop full of small cubes. I dry shook both for 30 sec then with ice for 10-15 sec. I did not measure the temperature of the drinks. The dilution appeared the same/similar (maybe fraction of an ounce like you said), and I did not detect a flavor difference. There was a significant difference in mouth feel with the large cube having a silkier texture. I don’t think I was being biased since this difference faded after just a few minutes. So, I guess I will need to experiment further. Gee, such a burden!! Yes we were expecting a difference as well. Though as we mentioned perhaps our palates just aren’t that refined.